Directly connects to kitchen faucets. Two Way Diverter valve 1/4" with switch collar. To connect your counter top water purification system or Reverse osmosis system with 1/4" tubing directly to kitchen faucet for easy use. 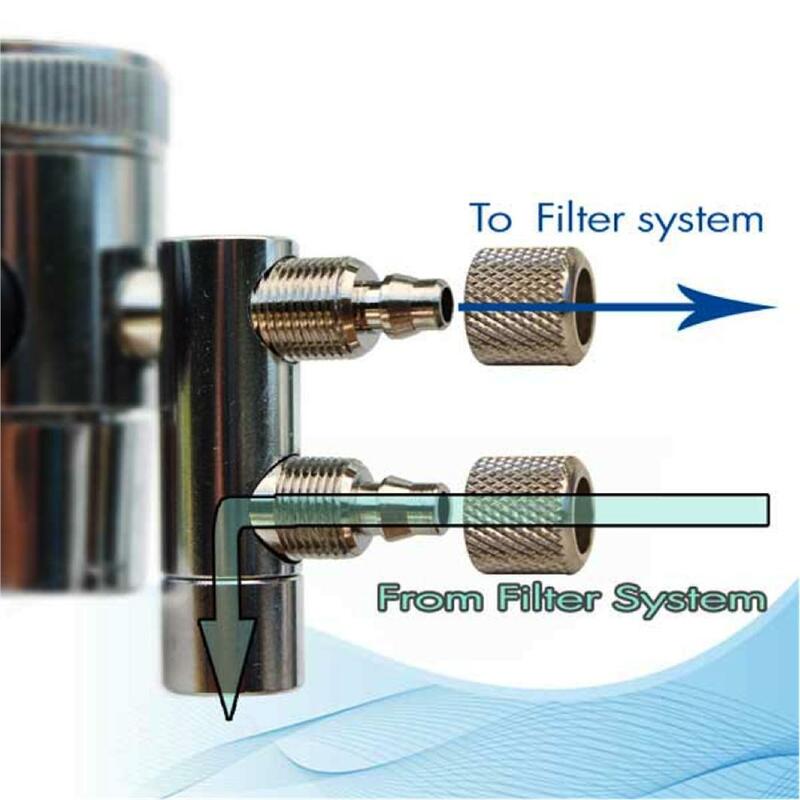 Depending on the system tubing connection method, purified water will exit from the small side port on the side of the diverter valve. When it is at Off position, you can use the kitchen faucet water. 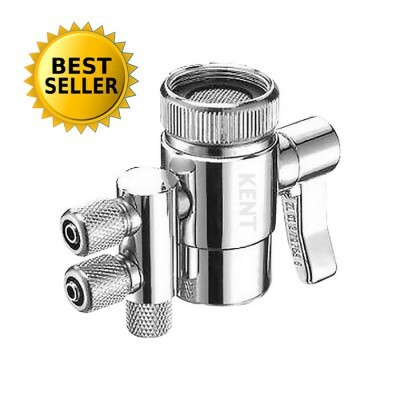 When it is at On position, it diverts water to your water purification system. 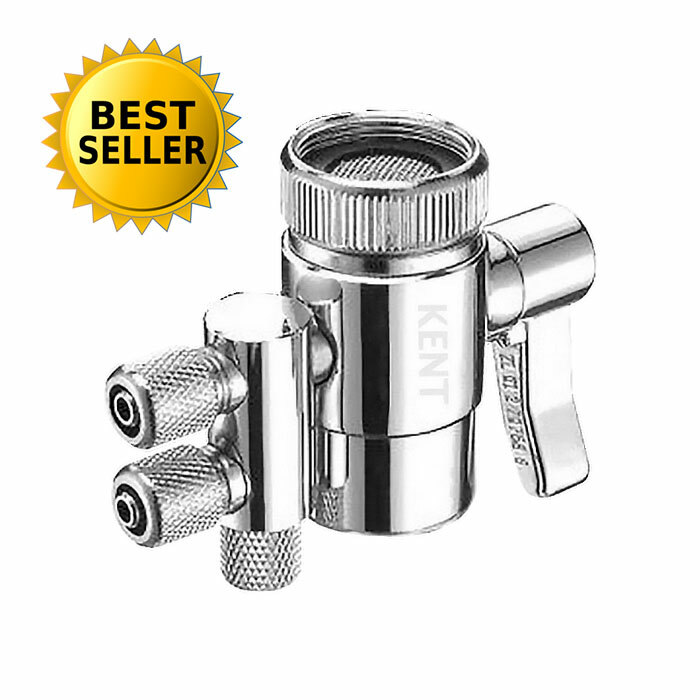 Material: Body chrome plated Brass.